Philippine Airlines has officially announced that they will be launching new flights to RUH-Riyadh, Saudi Arabia from March 28th. PAL will be flying four times per week nonstop from its Manila hub base using a 433 seater Boeing 747-400. PAL's B 744s seat 50 in business class and 383 in economy class. MAN - daily A 380 service on EK 17/18 effective Sept 1st. LHR - additional daily A 380 service on EK 3/4 alongside EK 1/2 effective July 1st. PEK - daily A 380 service on EK 306/307 effective Aug 1st. JFK - daily A 380 service on EK 201/202 effective Oct 31st. PVG - daily A 380 service on EK 302/303 effective January 1st 2011. To MAN/PEK/PVG/JFK, second daily service will continue to be flown with B 77Ws and A 343s. Qatar Airways has officially announced that it will be reducing capacity to JFK-New York City permanently from February 1st. From that date onwards, they will be using a 259 seater Boeing 777-200LR on the DOH-JFK sector rather than a 335 seater Boeing 777-300ER. This means a capacity reduction of 76 seats daily. QR's load factor to JFK over the previous year has not met up to their expectations and they feel that it would be wiser to instead a smaller aircraft to meet demand forecasts. The good news for QR though is that they will be launching a 3rd daily flight to CMB-Colombo from March 28th which will conveniently connect via DOH to all of their USA flights in both directions with only a 2 hour transit. This will surely help increase loads to USA and give EK/EY/KU a tough time in gaining market share on the JFK-CMB sector. 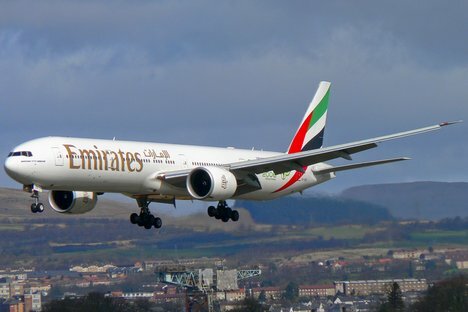 Lastly, QR has also officially confirmed that it will be increasing capacity to PVG-Shanghai from March 3rd onwards by deploying a larger Boeing 777-300ER on the route replacing the Airbus A 330-200 i.e. an increase of 430 seats per week approximately. 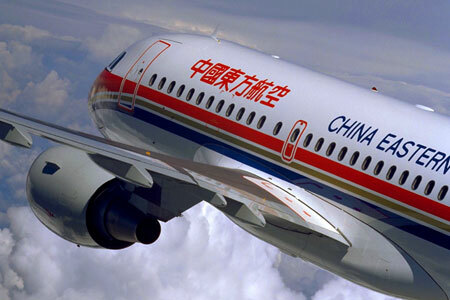 QR flies to Shanghai five times per week nonstop from its Doha hub. FCO / MIA - capacity to be reduced from 6 weekly B 772ERs to 6 weekly B 763ERs effective Sept 1st..
MXP / NRT - capacity to be reduced from 3 weekly B 772ERs to 3 weekly A 332s effective July 11th. BMI (British Midland) has officially confirmed that it will be reducing capacity to CAI-Cairo, Egypt from March 28th onwards. BD currently operates a daily nonstop flight on this sector using an A 332 however from the on set of the IATA Summer 2010 schedule, this flight will see an A 321 being used for all daily flights. Aeroflot has officially announced that it will be increasing capacity to Los Angeles and New York JFK from May 2010 onwards. All flights to LAX will see A 332s operating rather than B 763ERs. On the other hand, capacity to JFK shall be further increased with the daily SU 315/316 flight seeing a larger A 333 being used rather than an A 332. The chairman of Sri Lankan Airlines has officially revealed in an interview to Airliner World magazine (January 2010 edition) that the airline is on the look out to lease 2 Airbus A 340-500s as it is seriously contemplating launching new long haul nonstop flights from Colombo to Melbourne and Sydney in Australia from Summer 2010 onwards. The carrier also wishes to possibly lease in more A 345s into its fleet to replace its 15 year old A 343s on long haul routes to Europe/UK. JFK - frequencies increased from 4 weekly to daily nonstop flights using an A 346 effective June. LHR - 4 weekly nonstop flights to be reinstated using an A 332. SVO - 3 weekly nonstop flights to be reinstated using an A 333. 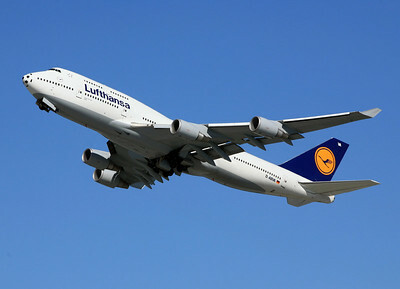 Lufthansa has officially released a press statement stating that it is planning to launch new flights to Iraq from the on set of the Summer 2010 peak season. It has planned to fly to Baghdad and Erbil from its Frankfurt and Munich hubs respectively. LH has said that it is keen on flying to Iraq due to heavy demand from USA and Western Europe from Iraqi immigrants, businessmen and government officials. LH is now in the process of getting the German government to engage in air bilateral discussions with the Iraqi government so that flights could be launched in time for the peak summer travel season. Indian media has officially disclosed that Jet Airways is planning to launch new services to Johannesburg, South Africa from its BOM-Mumbai hub before the 2010 Soccer World Cup. The Wall Street Journal's India division Livemint has disclosed that the carrier is going to start daily nonstop flights with an A 332 on this route to cash in on high demand ahead of the World Cup. 9W is expected to schedule these flights in a manner that will allow good connections via BOM to SIN and BKK to get useful feeder traffic.